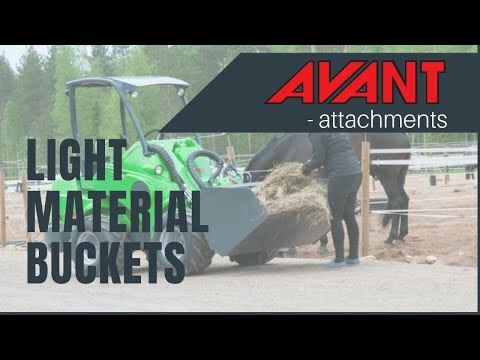 Light Material Bucket - Reach It! - Move It! - Crush It! Light material buckets are intended for handling of e.g. snow, saw dust, manure, wood chips and other light materials.The bottom of a light material bucket is considerably longer and the sides are higher than on a general bucket, which speeds up the work a lot. There are no reinforcement plates inside the bucket which would interfere when loading and emptying, and the sides open forward in a slight angle which guarantees easy and complete emptying of all kinds materials.